According to Google research, almost one-third of mobile searches were based upon location searches – and that was in 2017. The importance of local or being within the community continues to gain popularity. The terms of “locally grown” or “shop local” have become common terms by consumers. 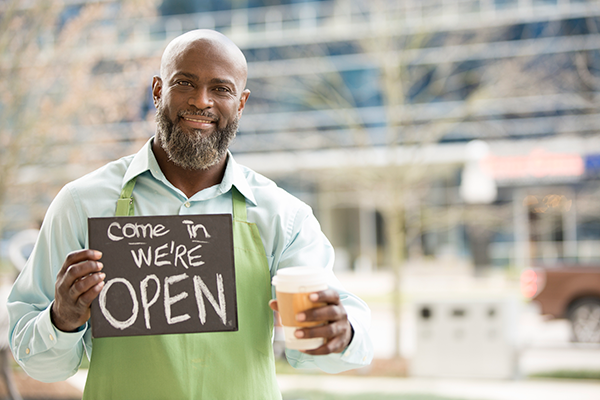 We have all seen the value in “local” and perhaps that is why American Express sponsored the first Small Business Saturday in 2010. There are other companies that understand the value of local – something that radio delivers through its 15,000+ local radio stations across the U.S. Reading a recent interview of one such advertiser sharing their views on the importance of local for their brand highlighted what radio does so well. In a published Q&A with Peter Marino, MillerCoors’ Tenth and Blake president, he shares his views on the importance of “local” on the craft beer industry. Throughout the piece he focuses on certain topics – bond, scale, community and relevance. Beyond the fact that radio reaches 93% of microbrew/craft beer drinkers, the context of this article and radio’s capabilities are incredibly similar. Brands understand the value of creating a bond with the users of their products. Local matters. Consumers, and ultimately radio listeners, are concerned with what’s going on in their community and their neighborhood. Speak to any consumer that has a security camera on their home. They share video, ask questions and alert their neighbors. People want to know what’s going on around them in their local area and that’s what radio does – keeps them up to date on what’s going on locally. In the Q&A, Marino suggests a “countertrend of local as an opportunity for people to have a more meaningful human-to-human connection.” While it is a thought-provoking insight on the impact of social media, one look at the relationship between radio station personalities and radio listeners is definitive proof that people want that human connection. They want a familiar and friendly voice, someone they view as a friend that will inform them of local events, weather, news or maybe just make them laugh. Whatever the reason, radio stations and the personalities on those stations provide content that is relevant to that listener – because they are part of the community and part of the daily lives of those listeners. Too often, the importance and impact of “local” is overlooked. As the world gets bigger, consumers want to feel more and more connected. “Local is a very powerful trend when there is authenticity and when people are deeply ingrained in their community.” That quote, taken from this Q&A, is an important marketing and advertising goal that many brands want to achieve. Ask any radio listener their thoughts about this and they’ll probably mention that it is what their favorite radio station and radio station personality do every day.